Hardback, 8.75 x 11.5 in. / 308 pgs / 498 color. 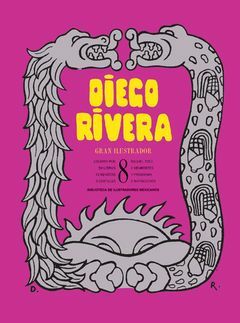 Best known for his epic mural production, Mexican artist Diego Rivera was also an important easel painter and--as this book eloquently demonstrates--an extraordinary illustrator. 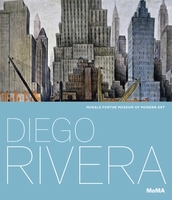 This volume takes a detailed and long-overdue look at this rich and significant facet of Rivera's immense oeuvre: the illustrations he contributed to books and periodical publications over the course of his long career. Accompanying the numerous reproductions is a long and splendidly researched essay by noted art critic Raquel Tibol, an expert on the artist's work. 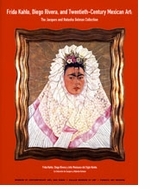 The panorama of Rivera's themes--Modernist poetry, political issues, Mexican folklore, pre-Columbian America and many others--take the reader on a tour of the history of Mexican art in the first half of the twentieth century. Even those who think they know Rivera's work will find new aspects to explore in this beautiful book. Contributors include Hugh M. Davies, John R. Lane, Bob Littman, Sylvia Navarrete, Pierre Schneider. Text by Juan Coronel Rivera, Roberto Pliego, Magdalena Zavala. Text by Juan Coronel Rivera, Itzel Rodríguez, Alberto Híjar. FORMAT: Hardback, 8.75 x 11.5 in. / 308 pgs / 498 color.